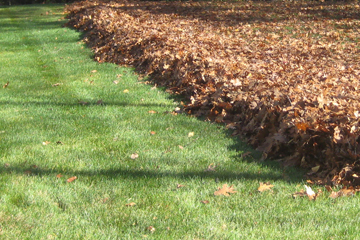 Spring Cleanups consist of dethatching the lawn and removing all leaves, sticks and other debris that may have collected in your landscape beds, on your turf areas, pool areas etc�over the winter. All debris will be hauled off site and recycled into compost. Generally performed once a year in late March or early April depending on weather conditions. 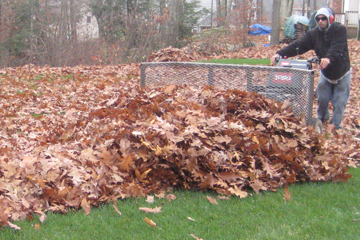 Fall cleanups consist of cleaning and removing all leaves sticks and other natural debris from both the turf areas and landscape beds. Pool areas, patios and decks areas are cleaned as well. Landscape beds are gone checked and the year�s annual and perennial plant growth is cleaned and removed as necessary depending on specific plant material on site. All materials will be hauled off site and recycled into compost. 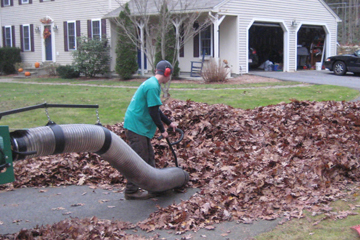 Fall cleanups are generally performed 1-4 times a year from late October through early December. Gutter cleaning can be added to either a Spring or Fall cleanup.